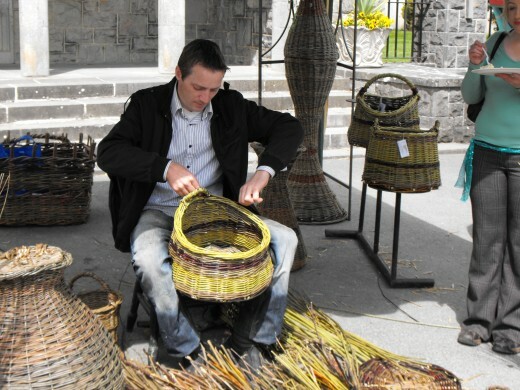 Basket weaving at Dunderry Fair. 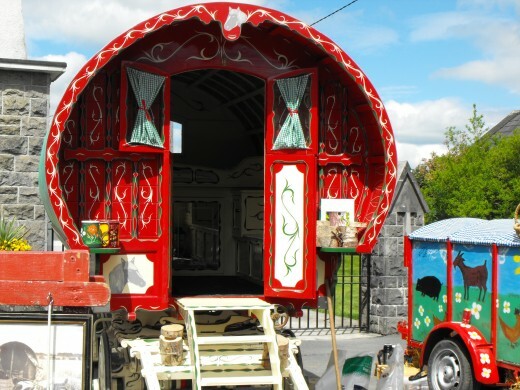 Hand made Gypsy caravan at Dunderry Fair. 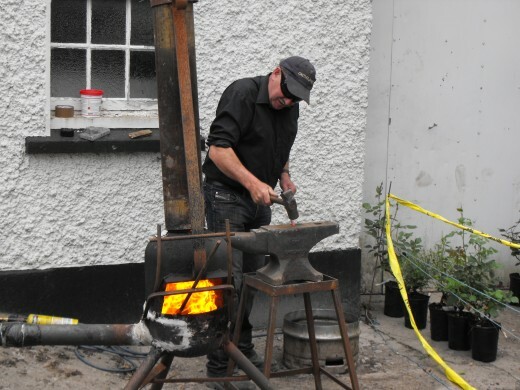 Blacksmith at work at Dunderry Fair. 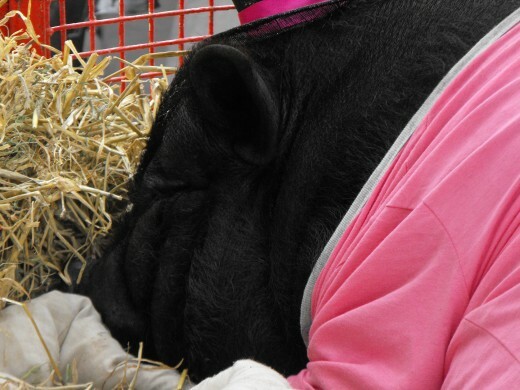 Pot Bellied Pig Sleeps at Dunderry Fair. County Meath is better known in Ireland as the RoyalCounty. This Royal title has no relation to Britain but rather relates to the fact that the High Kings of Ireland once ruled from Meath which is now viewed as the Heritage Capital of Ireland. Ireland has many historical sites and monuments and great numbers of both can be found in CountyMeath. Ireland’s history from pre-historic times are captured in the sites and monuments of County Meath and even in 2012 archaeologists continue to dig and uncover more of our heritage from beneath the fertile ground of the Royal County. The BoyneValley which will be known to many as the site of the historical Battle of the Boyne between King James and King William of Orange, the BoyneValley is a place of exceptional interest to those who want to understand and view Ireland’s history and culture. Newgrange in CountyMeath is probably the most famous site that houses massive megalithic tombs and passage graves. There are other sites at Dowth, Knowth and Loughcrew. The Hill of Tara is known as the Royal site due to its historical connections with the High Kings of Ireland, are just some of the sites that must be visited to appreciate the cultural and spiritual journey of Ireland’s past. The Rivers Boyne and Backwater are the main rivers in CountyMeath and both join together at the bottom of Flowerhill in NavanTown. The two rivers then travel as one out into the Irish Sea. The River Boyne has much mythology attached to it relating to the great Irish legend Fionn Mac Cumhall and it is said that the Salmon of Knowledge did swim among the other aquatic life of the River Boyne. Fishermen come from all around the world each year to fish for the famous salmon and trout of the Boyne and Blackwater. All inward traffic from Dublin either by air or ferry leaves visitors only a few minutes drive from CountyMeath. CountyMeath has some of the finest hotels, B&Bs and Hostels in Ireland and as always I recommend that you connect hoteldeal4u.com or any other reputable company to get the best value that’s suits your needs and budget. County Meath has also a number of well known race courses including Fairy House, Bellewstown, Navan, and Laytown where the races take place on the sandy beach. Horses are very big business in CountyMeath and there are many well known Jockeys that hail from the County including the famous Carberry Family. Golf is also one of the many great sports that is championed in CountyMeath, many of the Golf courses have been designed by professional golfer Des Smyth who hails from the County. Natural landscapes, beautiful gardens, golden beaches have all inspired generations of artists and crafts people to produce some wonderful works that can be seen throughout the County. Many of Meath’s Hotels have excellent restaurants, there is an excellent variety of pubs that provide extensive menus and there are some of the finest restaurants in Europe with food that can be traced back to its local farm of origin. 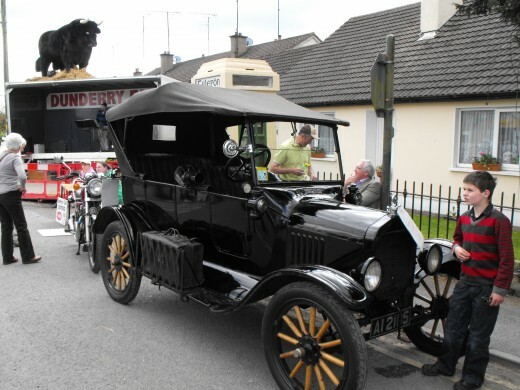 CountyMeath also hosts some of the greatest Fairs in Ireland each year and I now set out my experience of Dunderry Fair May, 2012. May, 2012, and I am just back from a wonderful day at Dunderry Fair, please see my slide show at the top of the Blog. The sun shinned down as thousands enjoyed the many traditions, events, shows and fine traditional cooking that was on offer at Dunderry today. Stalls offering the finest of homemade foods including jams, chucknies, Breads and buns sat easily along side the ladies and gentlemen who were cooking traditional champ and fried eggs for hungry fair goers. Horse shoes were beaten out of hot steel as the blacksmith displayed traditions too rarely seen in the modern age. Sheep sheerers gave an impressive short, back and sides to many ewes who were gald to have their heavy burden lifted from their back as the sun beat down on what could have been a mid summers day. Horses, goats, cows, bulls, donkeys, Shetland ponies, rabbits, ducks, geese, drakes, chickens and even, as pictured above, a Vietnamese Pot Bellied Pig were on display and some were for sale. The Meath Hunt turned out with their fine Hounds an attraction that caught the eye of the thousands of fair goers. The Travellers work shop Navan presented some of their finest work and traditions which were a credit to all those involved. The Vintage tractors, cars and other antiquities were turned out in their full glory, the hands that keep these magnificant machines in top order are nothing less than magical. The Dog show seen some fine animals of various breeds take to the parade ring and I have no doubt that the judges had their work cut out for them. There was no end of competitions for the Human kind either as Bonny Babies were turned out, the Dunderry Queen was selected and even the Matchmaker made his mark. Basket weaving, stool making, bucket making, horse shoe making all attracted an enthusiastic crowd. The music provided a wonderful back drop to what has been yet again a memorable Dunderry Fair.